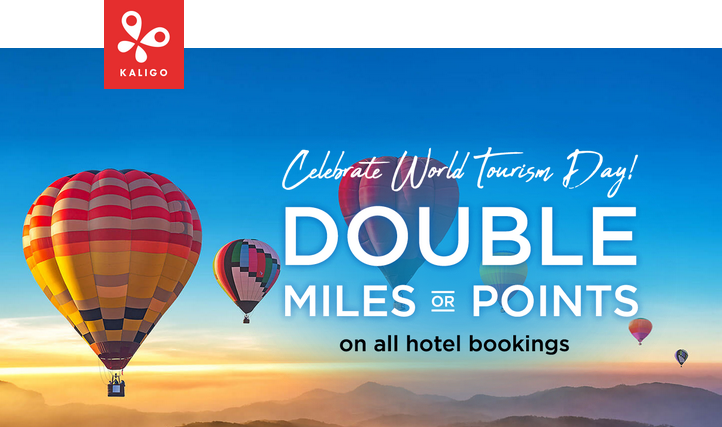 Kaligo, one of a handful of third party hotel booking sites that offers miles for booking via their site in numerous programs has a new flash offer to celebrate World Tourism Day! From today through to the 28th you can earn double miles and points on all bookings in almost all of their partner programs. The only programs not participating are bank credit card programs and Uber.